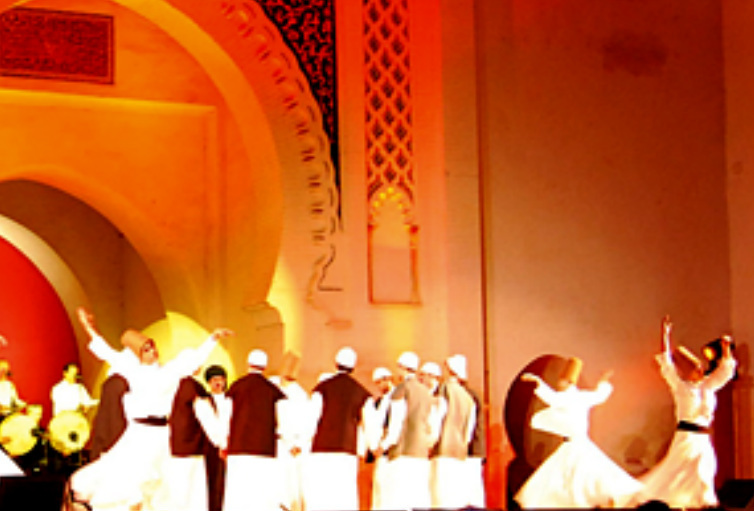 Join this sojourn to Morocco with yoga and chant instructor Ann Dyer for a magical, life-altering immersion into sacred music performed in over a dozen venues in the UNESCO heritage site of the historic medina of Fez. 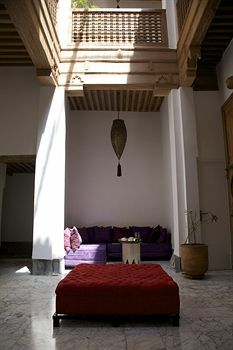 Stay in a traditional dar, the former home of a Moroccan pasha, meticulously restored and located in the heart of the medina, walking distance to all the festival sites and the best shopping in Morocco. Travel with a friend or spouse, or come alone confident in the knowledge that you'll be part of a tightknit group of new friends. Every day begins with morning group chanting and ends under the stars with the musically sublime. Space extremely limited. Registration deadline March 1. 2014. The theme of the 2014 Festival is The Conference of the Birds. This is an epic poem of some 4500 lines, written in Persian by the poet Farid ud-Din Attar in 1177. It is a Sufi allegorical poem that tells the story of the quest for a king undertaken by the birds of the world that describes the Sufi path to enlightenment. • sightseeing or shopping excursions. The trip begins with check-in on June 13, followed by a welcome dinner at 6pm and Opening Night of the Festival at 8pm, and ends with breakfast and check-out the morning of June 22. Fez maybe accessed by air, train or taxi/shuttle. Two popular options are to fly into Casablanca and take either the train (approx. 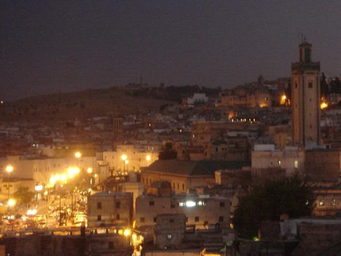 $25) or arrange a shuttle pick-up (approximately $165) to Fez, either option taking approximately 4.5 hours. Alternatively, it is possible to book a flight from the U.S. into a main hub, (e.g., Paris or London) and purchase a separate ticket directly to Fez on one of the local airlines, such as Royal Air Maroc or Ryanair. 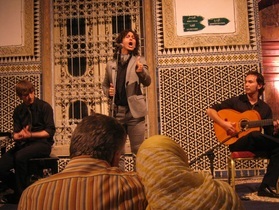 For more travel information visit http://wikitravel.org/en/Fez or http://www.fesfestival.com/2013/en/info_pratique.php. 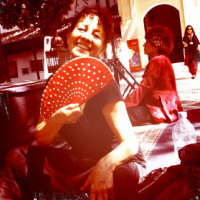 If you are interested in traveling to other cities while in Morocco we recommend contacting Helen Rangier at Concierge Morocco at http://www.conciergemorocco.com/. on Mount Zalagh, the mountain above Fez, followed by a sunset picnic dinner prior to the evening concert; cooking classes and more. Extra-curricular activities can be arranged for interested parties at an additional cost. This is a trip devoted to the exploration of sacred music and naada yoga (the yoga of sound). Each morning we will have a yoga of sound session that prepares us to receive the day’s offerings through chants, education and guided listening practices. There is space for individuals to do their own yoga asana practice at Maison Maure, and Ann is always happy if someone cares to join her in her personal practice. Cancellation Policy. Save My Spot $300 deposit is non-refundable. Any registration payments will be returned minus the $300 deposit fee if requested in writing prior to March 1, 2014. No refunds will be issued for any reason after March 1, 2014. Travel Insurance: We strongly recommend that you purchase travel insurance for your trip. There are many travel insurance companies to choose from but Travelex and STA are two reputable organizations for worldwide travel coverage.